Fuel efficiency improved to 16 km/l from 15.1 km/l. Today's launch of the Mahindra XUV500 facelift also sees the introduction of the XUV500 W10 variant, the most expensive variant on the nameplate till date. 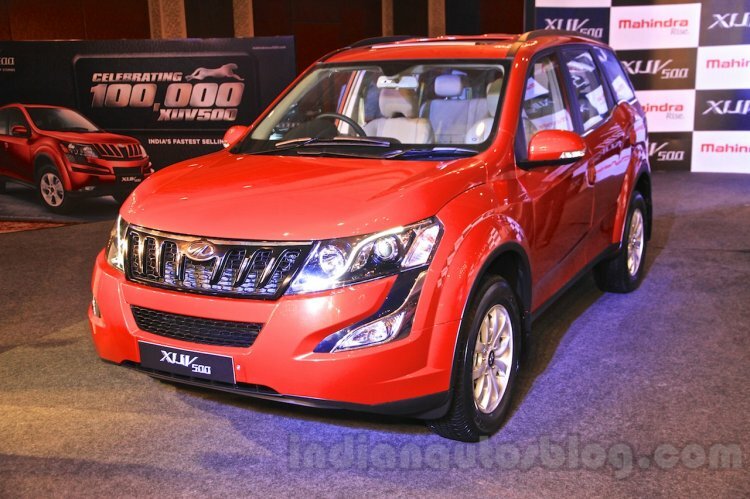 Priced at INR 14.99 lakhs for the W10 FWD and INR 15.99 lakhs for the W10 AWD (ex-Showroom, New Delhi) here's what the flagship XUV500 looks like. The AWD system can now be ticked on the XUV500 W8 as well as W10 variants. The front sees new LED light guides, a chrome embellished grille, chrome-plated foglight enclosures and a new bumper. Over to the sides, new 10-spoke alloy wheels and chrome highlights for the window line are seen, while changes to the rear are very subtle: a chrome garnished registration plate enclosure is the only addition. A chrome embellishment above the registration plate is the sole change at the back. 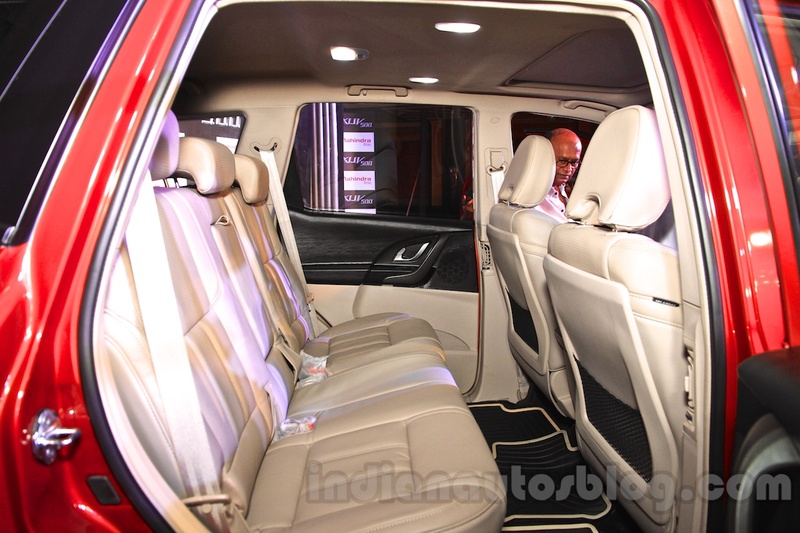 Inside, the 2015 Mahindra XUV500 ditches the plum seats favoring beige leather upholstery, and a dual-tone black-and-beige dashboard. It also gets a 7-inch touchscreen with integrated GPS, Bluetooth and image viewing capability. Further, using a BlueSense app, owners can control the HVAC of the car using their mobile phones while seated anywhere inside the SUV. A sunroof is standard on the W10 variant. On the mechanical front, the 2.2-liter diesel engine is now tuned to deliver 16 km/l, up from 15.1 km/l, and the suspension setup has been improved for better comfort and stability, says Mahindra. 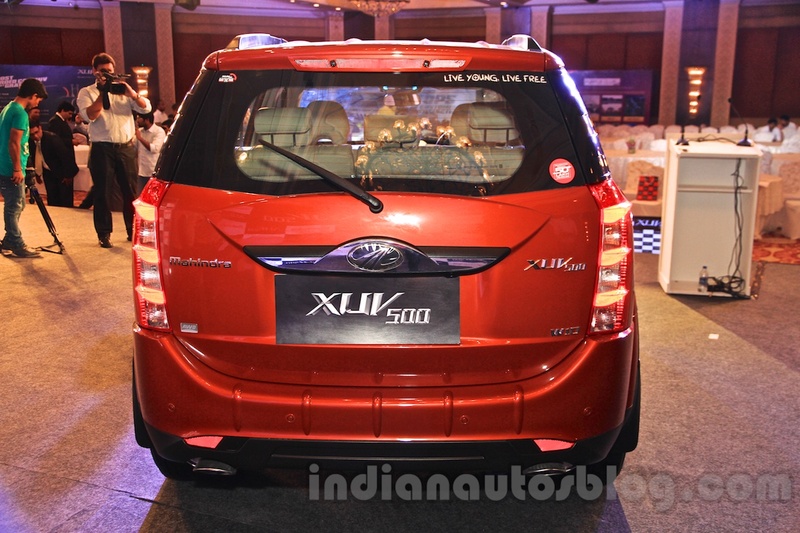 In addition to ABS, EBD and 6 airbags, the XUV500 W10 also gets ESP with Rollover mitigation.